Phonorama is a long-term project in the Ghent Papegaai district. We want to capture the neighbourhood in sounds and guard some of those recordings in a time capsule for 20 years. How do residents listen to their neighbourhood? Do outsiders listen differently to the neighbourhood? And will the neighbourhood still sound the same in 20 years? In the autumn of 2017, aifoon sent a number of neighbourhood residents from the Ghent Papegaai district on a sound hunt. With a recorder they set off in their environment: at home, on the street, in alleys, shops, cafes, with neighbours, acquaintances and strangers ... They came back with a loot of recognizable sounds, mysterious sounds, striking audio fragments or subtle recordings. In December 2017 you could experience the result of the sound hunt in the empty little houses of Cité Melchior, which came back to life thanks to a sound collage. You could go on a discovery tour through a rich panorama of sounds. Small and large sounds, which we often no longer notice in our daily life, came together in a composition that tells the story of the neighbourhood. 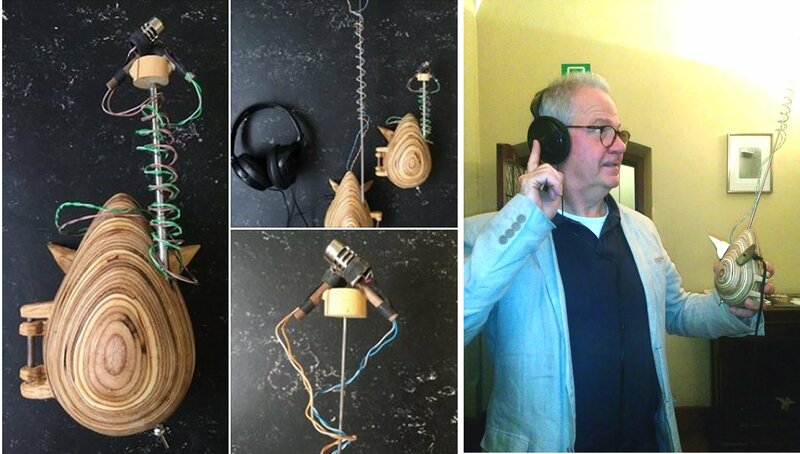 Sound artist Stijn Demeulenaere started working with the recordings of the local residents. Stijn regularly travels to the farthest corners of the world with his recorder. During three short concerts he mixed the sounds of Ghent with sound clips that he recorded in South Africa and Iceland. A world tour for your ears in the beautiful setting of the Monasterium Poortackere.